I am amazed almost every single day that I have lived for as long as I have when quite a number of my contemporaries, as well as a few of my juniors, are no more. A recent tragic death of a very talented and politically astute cousin (more like a brother) brought home to me the fragility of human life as a matter of fact and how deeply we all lose in our vanity. Our decade is a truly difficult period, but not as horrible as the earlier ones of long periods of wars, of famine and pestilence, and of liberation struggles and of frail nation building. Have we succeeded in laying out the foundational structures for our future survival? Not exactly, but we are on higher phase of nation building though it seems chaotic and rudderless. Our Ethiopian problems are not unique but aspects of the universal problems and challenges of survival. Obviously, to me such human universal survival issues get much clearer and get magnified when closer to our Ethiopian lives. Thus, the need for constant reappraisal and recurring adjustments of one’s understanding and conclusionary views on political and moral issues concerning Ethiopia and Ethiopians. I wonder now, considering the recent exposition of the “Oromo First” agenda of Abiy Ahmed and Lemma Megersa, how their supporters, such as Professors Alemyehu Gebre Mariam, Dagnachew Assefa, Mesfin Woldemariam, Getatchew Haile, Yacob Hailemariam and numerous other elites compute the current political matrix in our beloved Ethiopia. At any rate, the real danger against the integrity and survival of Ethiopia is the existence and political insurrection of the OLF and Jawar Mohammad. The danger is not limited to none Oromos but even more pointedly against Oromos who believe in their Ethiopian identity. Just as a point of reference, let me state the names of my great Ethiopian heroes with Oromo ancestry: Balcha Aba Nefso, Jagama Kello, Geresu Dukie, Derartu Tulu [watching her from the stand, I was absolutely euphoric in her glory winning the First Olympic Gold Medal in Barcelona in 1992]; the Dibaba sisters: Tirunesh [my favorite Baby-face Destroyer] and flawless Genzebe; then there are Haile Gebreselassie, Kenenisa Bekele and several others. Being a descendant of Workit and Mestawat, I am an Oromo too. In the early February 2019 conference of opposition parties, Abiy Ahmed pointed out correctly that a) Ethiopia is not some pushover country that could disintegrate easily but that those who try to undermine it are the ones that would disintegrate, and b) he further expressed his admiration for the ODP/OPDO leadership for practicing a democratic process in changing and replacing its Chairmen. I agree with Abiy Ahmed on those two narrowly drawn points. Especially what is poignant about that assessment of ODP/ODPO is the contrast with the leadership of the opposition political entities participating in that conference that have not practiced democratic processes in their leadership, for those leaders to a man are as old as their organizations from formation to date. I am not sure whether those participants have understood the significance of such remark by Abiy Ahmed. However, neither Abiy Ahmed nor Lemma Megersa are the Ethiopian Leaders we all thought they were. Their recent inaction and deceitful statements at crucial junctures of enormous crises of persecution and ethnic cleansing and eviction of citizens in Oromo Kilil clearly established their true colors of narrow ethnic goal of a separate Oromo entity and the destruction of Ethiopia. I was aware of Abiy Ahmed’s flirtation with such retarded idea of ethnic supremacy when he was official in the Oromo Kilil Leadership. [https://www.youtube.com/watch?v=q_GrV30N634] But with his incredible maiden speech of 2 April 2018 at his investiture as the new Prime Minister after the resignation of Haile Mariam Desalegn, he convinced me as he did many others that he was authentic in the belief of the unity of Ethiopia. Who would not? He said, quoting a third person that “In life we are Ethiopians, in death we become Ethiopia.” [https://www.youtube.com/watch?v=JzUhUVRGaZA] It is a fact that the notion of “Oromo” as a territorial physical entity is nonexistent in history. There never was a nation or even a village called “Oromo” or “Oromia” in any formal documentation whatsoever before the 1970s. There is one obscure reference to the word “oromo” in 1893. The name “Oromo” formally replaced the word “Galla” after 1974. It is a name adopted by the “Galla” elites of liberation fronts in late 1970s. Oromos are settlers on lands of other tribes by force during and after the Gragn wars except in the Borena/Genale River region where they originated. As human beings, we have used myth, religion, political structures et cetera in an attempt to tame the forces of nature as well as to control even subdue our fellow man to our bidding as communities. Often enough, our methods were crude and raw, and they still are. How come we are the ones involved in such often-bloody endeavors? But that rhetorical question is not quite correct, for violence in life is the rule not the exception in animals of all kinds. Yes, almost all creatures are involved in some form of violence to secure their food and shelter and the chances to mate and perpetuate themselves individually. What is profoundly admirable in human beings is the depth and complexity of this survival effort. I imagine our human ancestors venturing out and facing the terrifying facts of life where almost everything is trying to eat them up a couple of hundred thousand years ago, a mere yesterday compared to the eternity and infinity of being. Our ancestors, whether in a bunch or in individual strand as conscious mortal beings, in their fear and incomprehension of the baffling fact of existence must be considered the greatest event in our human survival. I submit to all that if we do not sense the trembling Earth under our feet where by a few hundred miles down is a raging furnace, or if we do not sense a few hundred miles above our head the immensity engulfing the tiny speck of dust called Earth our home-world, we really have not truly lived. Consider the nine-year-old child genius Robel Be’amlak’s depth of relation with the cosmos, and we ought to rejoice in that knowledge that such a God in the form a young boy walks among us. The following are two examples of such human incidents where “God” transformed himself into transcendental high moral beings. I identify for you with humility two men that we should aspire to be in our moral lives. First, of all moral teachers the man I greatly admire is Janusz Korczak Henryk Goldszmit MD, born 22 July 1878, Warsaw, Poland and died 7 August 1942, Treblinka extermination camp] who was the Director of an orphanage of two hundred mentally challenged children. When the Nazi occupiers of Poland ordered the children to be removed to Treblinka to be eliminated, he chose to accompany his young orphan children patients. He pleaded with authorities to spare the orphan children that he and his Family will bear all the expenses. The day the fateful journey started, he did not inform his orphan children of their fate but simply informed them that they are going on a picnic as they have done many times before. He dressed them all in their best Sunday clothing and with cheerful disposition boarded the train to Treblinka. There are pictures of Janusz Korczak with his orphan children holding hands in their last walk to the train station, happy and carefree in the company of their much-loved doctor unaware of their impending death in a gas chamber. Though a Nazi official offered to help Janusz Korczak that he was free to go, he refused and chose to stay with his orphan Children. He lived and died selflessly the ideas he wrote about loving children unconditionally on their terms, long before Freud and others developed principles and methodology on the treatment of children. Janusz Korczak simply could not bear to abandon his “Orphan Children” in his care at the time of their greatest needs—he died with them. The immediate effect on me after I read the story about Janusz Korczak in connection with the commemorative Stamp issued by the United Nations [UNESCO Man of the Year in 1979] was devastating. Reading history is very deadly at times if properly understood. For years, I was traumatized because the image of innocent children marching to a gas chamber lingered in my mind and took me years to overcome to some extent the excruciating anguish I experienced in order to lead some sort of life. To this day that “God that wept” Janusz Korczak is still affecting me. Second, another individual who affected me profoundly is my own fellow Ethiopian, Journalist Eskinder Nega with his courageous stand against an abusive brutal dictatorship of Meles Zenawi. He refused to sign a document brought to him by the Government of Meles Zenawi of falsely self-incriminating himself of wrong doing in order to be freed from prison. Eskinder courageously stayed in prison under truly appalling torturous conditions for years until the day he was freed by the new Government Leader Abiy Ahmed. Let me put it this way how damned I am so you know that I am not taking you in a frivolous search for an avatar, but for the one who wept and profoundly sensed the tragic in our repeated failure to bring about freedom and justice in our community. My heroes are real and truly courageous individuals with unfathomable depth of moral certitude that I can only imagine and only admire at a distance for there is no way to match their high standard of morality. I do not seek God in the Firmaments, or in Churches, or Temples, or Mosques, for God is right here within me and as is the case in every human being. When I crave for God as an external manifestation, a too human search for perfection, I simply go downtown to the most crowded part of the city wherever I live and mingle. This moral imperative is not limited to the treatment of our own kind. Let us not forget the great story from the Mahabharata of King Yudhishthir who refused to enter Heaven if his companion Dog is not allowed to enter Heaven too. Yudhishthir reasoned that his dog has been a loyal companion during his long journey and that he will not abandon such a loyal dog worn and old, just seeking his own benefit. Every human being is a god to me, for I see this indescribably complex life form, which is becoming exceedingly frightening strange-looking to me, with unfathomable courage, right in front of me. I see in such individual a person wherein the eternal is in the finite, and the timeless in the ticking of seconds in my watch and in my heart beats. I think William Blake stated it best in his poem the Auguries of Innocence. He wrote as follows: To see a World in a Grain of Sand/ And a Heaven in a Wild Flower/ Hold Infinity in the palm of your hand/ And Eternity in an hour/ Blake is addressing the immensity and complexity of the universe and maybe creation itself and the improbable fact of human consciousness of it all. I say to you that if you kill a human being that you are killing a god, and if you torture a human being that you are torturing a god. What is most significant “to be” or “to be consciousness that recognized one’s existence”. Forget Abiy Ahmed, for he seems to be a shallow man who equates modernity with specious avenues, high rise buildings, Western skylines and fashionable clothing et cetera. All he is planning for the glitter and surface beauty of Addis Ababa and his Secretariat Office building in the middle of acutely poor population that could hardly feed itself. It is a crime for any political leader to talk about the aesthetics of a city and to think of building mega shopping malls and multiple high-rise buildings et cetera when most Ethiopians are in extreme poverty, unemployed in millions, with illiteracy rate of almost 60%, with no potable water for millions, and with dismal health care facilities and alarming shortage of doctors, nurses et cetera. On 6 February 2019 the Ethiopian government has established two commissions, the Boundaries and Identity Issues Commission, and the Reconciliation Commission. The content and process of the establishment of the two Commissions might have serious Constitutional problems that must be resolved quickly, but the prioritization of essential processes is screwed up. What must be established first and foremost is a Constitution Drafting Commission to study and reevaluate the existing Constitution and suggest new or amended constitutional daft and not some minor commission already problematic. My challenge to our current infatuation with democratic ideals (of the liberal democratic persuasion) or to the earlier Marxism-Leninism of Mengistu’s era to the exclusion of everything else is not per se an objection to the tenets and principles of those democratic ideals themselves, but is directed at the fact of the complete absence of a healthy debate on the types of choices we are making preemptively discarding our traditional system of monarchical government system. I am not convinced that the government system that is currently in place or its predecessors reflect the aspirations and wishes of the people of Ethiopia. I need to hear from those who champion liberal democracy over revolutionary democracy or monarchy the detail of their reasons supported with particular instances from our past history with particular attention to the political and social history of the last thirty years. At any rate, one of the edifices of democratic ideals, the so called “wishes of the people,” is meaningless in a poorly informed society that is in abject poverty. Mere labeling of events or situations with high sounding words will only polarize the truth and does not illuminate problems or enlighten us. Mengistu Hailemariam claimed to be a democrat, so did Meles Zenawi. The many constitutions of the world’s most oppressive governments speak of human rights and democracy in glowing terms. However, life in the trenches for most of mankind is dreadful, short, and nasty. The statistical figures, if they are believable, paint a grim picture about the human condition all over the World. The infant mortality rates, the death toll from famine, the illiteracy rates, the rate of demographic displacement of both internal and external refugees et cetera are all staggering in scope and the sheer number of individuals affected by such turmoil. In their unscrupulous activities, the current Ethiopian politicians who are in power and those in the opposition do not seem to realize the fact that they lack legitimacy, the most important attribute of being in power. However, Abiy Ahmed seems to have some understanding of that necessary ingredient in leading a Country like Ethiopia, thus his inordinate attention to his orchestrated public appearance. Without legitimacy no political leader or political organization would have authority to carry out the business of governing or of administering a people. No amount of display of raw power will bring about legitimacy. Legitimacy deals with the psychology of being accepted by a people as a leader. Such acceptance results in the people entrusting their sovereign power in such a leader thereby creating a legitimate leader of that people. One method used all over the world to confer legitimacy on a leader is to go through the process of elections. The fact of the matter is that all human groups at their earliest stages of organized life had practiced such direct democracy where individual members in a group debate an issue and jointly decide what to do. Such form of consensus is the genesis of the formal democratic elections of modern times. I contend that some form of monarchy, be it constitutional or ritualistic, would have far more legitimacy in our current situation in Ethiopia than any system of elected government in Ethiopia in the foreseeable future. On the alternative, I call your attention to my proposal of using a lottery system to choose our top political leaders. I suggested such methods I identified as “Lottocracy” a decade ago in my Book in order to defuse ethnic polarized election process. [See Tecola W Hagos, DEMYSTIFYING POLITICAL THOUGHT, POWER, AND ECONOMIC DEVELOPMENT, pages 94 – 95, Washington DC, Khepera Publishers, 1999.] Maybe it is time to follow that route and with the adoption of the Turkish Model I identified in several of my articles, Lottocracy might be the remedy for our currently fractured and shattered Ethiopia. I call upon Debretsion Gebre Michael to stop his saber rattling at Amhara Kilil and the Amhara People at large. I urge all TPLF Leaders to admit their monumental errors in attacking the Amhara people and for incubating and promoting the divisive Meles Zenawi who had harmed Tigrai Kilil even more so as he had harmed Ethiopians everywhere. The order and peace one can find in Tigrai kilil then and now is like the peace one finds in a graveyard among the dead and buried. The Leadership of the TPLF has harmed Tigrai and Tigrians more than any harmful steps against Tigrians by other Kilils and the citizens of any such Kilils. Visitors to Tigrai Kilil from other parts of Ethiopia have expressed great surprise how underdeveloped and poor Tigrai Kilil is compared to other regions of Ethiopia. The TPLF was in power for decades and did develop under its EPRDF Federal system major economic developments in Oromo Kilil suburbs of Addis Ababa, in Addis Ababa, Awasa et cetera but scantly in its own home base of Tigrai Kilil. Now, the TPLF leaders are back in Tigrai and using the people of Tigrai as hostages and shields to hide their crimes of corruption, and all kinds of criminal activities they committed everywhere in Ethiopia including Tigrai Kilil for the last twenty-seven years. It must be acknowledged that the brutal suppression by the Leadership of TPLF of both democratic and human rights was even longer by about fifteen years in Tigrai during the time of the Derg’s brutal rules. The people of Tigrai must reject and drive out those TPLF Leaders from Tigrai Kilil and choose new leaders. Individuals like Sebhat Nega, Getachew Assefa, Abay Tsehai, Samora Yunis, Seyoum Mesfin et cetera along with Hailemariam Desalegn and several others from the former ANDM and SEPDM must be brought to justice and tried publicly for corruption, abuse of power, crime against humanity, illegal detentions and torture, in an open court. Let me state clearly for the nth time that my sincere criticism of the Leaders of TPLF does not in any form discount the TPLF warriors’ great sacrifices and courage in fighting the Military Regime of Mengistu Hailemariam. 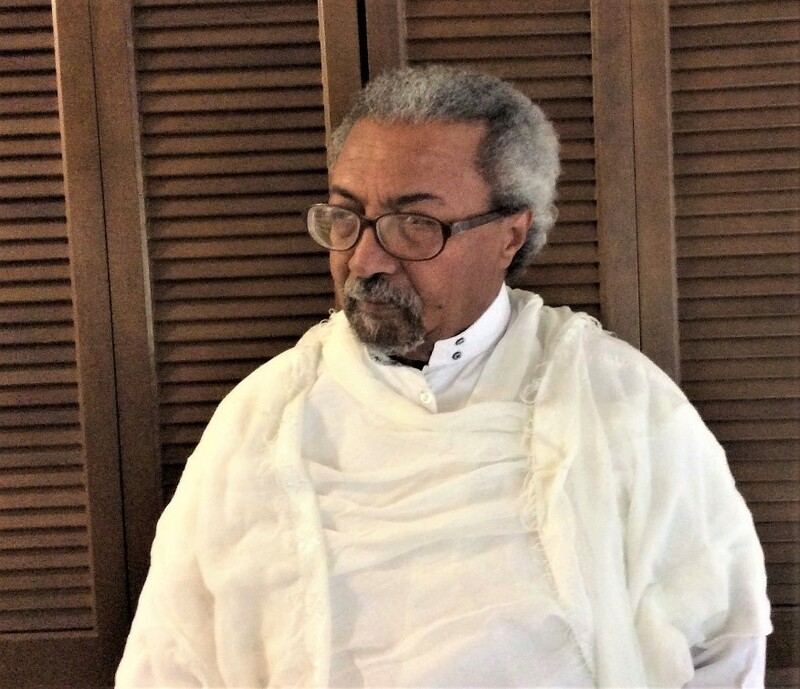 I call upon Gedu Andargachew to stop his manipulation to destroy TPLF as an organization and Tigrai and its population and his sickening association with individuals whose motive is hate. This section my sound to some people who have read my previous articles a total reversal of my call of the 3rd Woyane Rebellion that I wrote about at the beginning of an uncertain time and time of violence when the Government of Abiy Ahmed was totally paralyzed by huge ethnic conflicts throughout Ethiopia except in Tigrai State. The political and social condition in Ethiopia has not changed to date from the dire situation in April of 2018 when I wrote that call. In fact, it has gone worse. Now we know that the Ethiopiawinet that was beautiful presented in the mesmerizing speeches of both Abiy and Lemma sadly was a farce, a sickening ploy, that was meant to lure Ethiopians into their death and destruction and create on the ashes of Ethiopia an Oromo State. Now what must Gedu do? Gedu is not effective at all because of his appalling ignorance of political process. The best thing for Gedu is to resign and bring forth individuals with abilities and social appeal who would cement new bond with the people of Tigrai. I fully endorse the creation and/or strengthening both social and political organizations to protect and promote Amhara interests. I also believe the core interest of Amharas is Ethiopiawenet; Amharas are also loyal with undivided goals in the cause of the survival of Ethiopia. They are the solid core for the integrity and survival of Ethiopia. I call upon Merera Gudina and his political supporters and all sensible Oromo Ethiopians to step up their nationalist agenda that need to deemphasize ethnicity and focus on social and political principles based on the universalist approach to both political and democratic regimes of rights and civic involvements. OLF and Jawar have a mission that will only lead to the dismemberment of Oromo settlements in all the current territories and the disfranchisement of millions of Ethiopians. Here is my parable of the Wasp and the Bees: Imagine what would happen when Oromos are attacked by everyone everywhere. In no time Addis Ababa will be the command center of the military opposition to OLF and Jawar’s military insurrections. Wollega will be easily overtaken by Gojjames and indigenous non-Oromo tribes. Bale in no time will be easily run by Somalies, Sidamas, and Amharas. The current Oromo region will be tattered into little pieces with thousands of cuts from every angle. It is not a pretty sight at all. Once Oromos are perceived as aggressors and attackers of Ethiopians, the resistance will escalate exponentially in very short time. It reminds me of a naturalist’s documentary I watched with fascination years ago about a wasp, which is much larger and a lot more powerful than a bee, raiding beehives for food being met with a concerted defense by the much smaller and much weaker bees. In so far as the Wasp was conducting aerial attacks without engaging the Bees on hand to hand combat, the Wasp was unstoppable. The strategy of the Bees in defense of their home was amazing. Through much sacrifice, a few bees pulled down and anchored the Wasp to their hive. In short period of time, after anchoring down the Wasp with great sacrifices of hundreds of Bees, the Bees with their numerous stings/cuts killed and dismembered the Wasp. If Oromos follow the insane political programs of OLF and Jawar, they will end up losing much more than they had gained as a political and economic forces right at the present time. In fact, my call is to all communities and individuals irrespective of ethnic identity to challenge OLF and Jawar Mohammad. The Spoiler – Yergo Zemb? The recent friendliness of Issayas Afeworki with Abiy Ahmed and the Amhara Kilil Leadership is similar to the legendary hyaena as a refugee in a distant land than his own, where no one knows his background and character, asking for Agoza for his sleeping bedding. The implication of accepting the decision of a corrupt Border Arbitration Commission by Abiy Ahmed carries with it several wrong interpretations of international norms and principles as well as several mistakes of facts. That Arbitration decision should never be accepted. What is happening in real Politiks is a form of bribe to induce Eritrea‘s Issayas Afeworki to act as possible attack force on Tigrai in the North while Amhara Kilil forces attack form the South if there ever was war between Tigrai Kilil and Amhara Kilil. All the agitation in Woldia and Dessie is the consequence of such schema. Dessie used to be the most accommodating open society. Now, through corruption and focused divisive agitation such great Wolloies, my relations, are turning against their Tigrian neighbors, relations through marriage et cetera. What is tragic is the fact that Gedu and company including Abiy Ahmed are hiding the enormous war crimes committed by Isaias Afewerki and his forces against tens of thousands of Ethiopian war prisoners and civilians in Eritrea. Isaias Afewerki is old and not that healthy, he could suffer serious health reversal any time. Eritrea itself is serious political and economic problems. It cannot maintain even its small population where half of that population has already left the country seeking a better life elsewhere. I see no equally talented successor to Isaias Afewerki who is by far the most successful African leader in surviving political crises than anybody in the region. There is a suggestion that his elder son Abraham Isaias Afewerki might succeed him, but that will be a poor choice for that son seems to me to be a lot nicer and innocent than his Father and incapable of battling in deceitful power struggle. I empathize with Abraham and the rest of his siblings for I think they are very decent and well-adjusted individuals. I believe they feel much at home in Ethiopia than anywhere else outside of Asmara. They would have made a wonderful addition to our Ethiopian demographic tapestry. I ask Isaias Afewerki what he will gain at such points if he is burning his bridges to the one Kilil that is stable? Moreover, I advise Isaias Afewerki, in the best interest of the Eritrean people, he should completely reverse the secessionist steps he had taken and rejoin Ethiopia to form a far effective political entity; Djibouti and Somalia and Somaliland and Punt can join up a little later. I often think of the phrase and book title of Miguel de Unamuno, “the tragic sense of life.” Because of that people might think that I am a miserable person. Far from that I am very hopeful person who believes tomorrow is invariably a much better day than today. I wish that our leaders turn out to be the “God that wept” and reach out to all Ethiopians as their family members in as much as they seem to profess religious moral life. This is not to be at this time. The second-best thing for Ethiopians to do is not to fall completely for ambitious power hungry individuals, such as Abiy Ahmed, Lemma Megersa, Gedu Andargatchew, Demeke Mekonnen et cetera. The old politicians are not immune from my reservations about them, for Petros Beyene, Berhanu Nega, Aregawi Berhe, Merara Gudina all have chaired their respective organizations for decades. If they do not retire or be replaced by new younger breeds of leaders right away, Abiy Ahmed’s admonishment was wasted on them. Mind you that I am not criticizing their abilities or their commitment to Ethiopia’s transition into a democratic country. In fact, I admire greatly Merara Gudina and Beyene Petros for their consistent Ethiopiawinet and their rare quality of honesty and sincerity in all of their political statements. So far, what I have written is almost tautological, common place, and embarrassingly shallow bordering naiveite. I implore you to improve on my ideas. Under the current volatile situation and in a choice between the resurrection of the aged Leaders of the TPLF, who were the very causes of the current Ethiopian divisions and conflicts based on ethnicism, and bringing in a new leader, I am at a loss to choose anybody, least of all former TPLF Leaders. Abiy Ahmed, is a lost cause, for I am highly critical of his pseudo religious concept of “forgiveness” in relation to the blood socked Derg convicted former officials including the murderous criminal Mengistu Hailemariam. That is also his Achilles heel, which makes him look a hypocrite whenever he tried to prosecute former officials of the EPRDF for their past criminal activities of corruption, abuse of power, and/or torturing and murdering Ethiopian citizens. I insist that he rather focus on national preservation and civil public order than promote populist propaganda for political expediency. His economy policy if any is a total disaster for his focus and emphasis seem to be on conspicuous consumption for export trade of limited goods and services. His plan to sell off viable industries and highly liquid Ethiopian Airlines is idiotic. Rather than focusing on developing other such industries, he wants to eviscerate the one goose that lays golden eggs. He seems also to sabotage the GERD from being completed. Overall, Abiy Ahmed seems unable to lay out clear political and economic paths for Ethiopia. May be this a good time to search for a replacement.